It is hard to imagine a more unlikely vehicle for advancing energy literacy than a finely crafted large format picture book. Energy, after all, is invisible. We see its effects, but never the thing itself. And yet, Energy: Overdevelopment and the Delusion of Endless Growth succeeds and succeeds profoundly for it puts on display those effects so compellingly that the reader cannot help but turn the pages to see more. Taken with the eye of the fine art photographer, the book’s images project a disturbing beauty. They seduce the viewer with their attention to composition, color, light, and perspective. This impels us to enter into these images and contemplate rather than merely visually consume an exploding offshore oil platform; a desolated landscape strewn with derelict drilling rigs; a decapitated mountain; a pelican coated with oil; a coal strip mine seen from its bottom; and a tar sands mine seen from the sky. Once drawn in, the viewer cannot help but feel the immensity and drama of the energy issues we now face. And, once drawn in, the viewer wants more images that will somehow explain this immense drama and its significance for each of us. Leafing through the pages, you will be astonished at each successive image. Eventually, you will reach a substantial block of text. By then you will be more than ready for some explanation to put into words what all these images taken together might mean. The essays that follow are penned by noted writers such as poet, novelist and farmer Wendell Berry, climate change activist Bill McKibben, and peak oil author Richard Heinberg; by scientists such as climate scientist James Hansen and sustainable agriculture researcher Wes Jackson; and by big-picture pragmatists such as Plan B author Lester Brown and energy efficiency guru Amory Lovins. These and others take readers through the entire controversy surrounding energy starting with key energy concepts and then moving onto the waning of the fossil fuel age, alternative energy, climate change, energy conservation, and energy efficiency. Opposite these essays, many full-page images continually remind us of the colossal nature of the subject. I feel comfortable revealing the overall conclusion of the book without issuing a spoiler alert for in order to understand this conclusion, you must understand everything that precedes it. Here it is: We must drastically reduce our use of energy over the coming decades if we expect human civilization and perhaps even humans to survive. This conclusion runs so contrary to the conventional wisdom that those new to energy issues may conclude that it cannot be so. But I urge you to keep reading and contemplating the images. 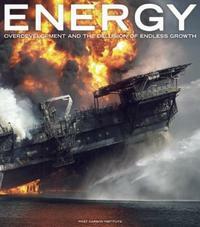 The book’s second section correctly characterizes our energy situation as a predicament. The dictionary defines predicament as a “a difficult, perplexing, or trying situation.” Frequently, it means a situation for which there is no response that restores the status quo ante. Problems have solutions; predicaments require coping mechanisms. To disabuse readers of the solutions currently on offer—such as new unconventional sources of oil and natural gas, “clean” coal, nuclear power, massive hydropower dams, biofuels, and geoengineering of the climate—an entire section of essays explains why these are false solutions if by solutions people mean that we can go on with business-as-usual after implementing them. Economic growth has limits on a spherical planet. Those limits are already in evidence. What Energy does in a profound way is demonstrate that human beings are limited creatures, both in their understanding and their powers. We humans have already amply demonstrated that by not anticipating and then not addressing the myriad critical environmental and resource problems we face today. What this book seems to ask then is whether accepting limits, ours and the Earth’s, can make us and our posterity better humans—or whether it is simply inevitable that our hubris borne of nothing other than a brief period of cheap, plentiful but finite energy will lead us to ruin. History and science tells us that this era must end. How it will end is partly in our hands. Energy does make a few suggestions: conservation, distributed renewable energy, reinvigorated local economies, family planning, and a renewed emphasis on the intangible rewards of being human including the fellowship of others and our encounters with beauty. Will we continue to accept the religion of unlimited economic growth—which must also be accompanied by unlimited growth in the production of energy and other resources—until a remorseless nature enforces its limits upon us? Or will we accept those limits—now so painstakingly outlined to us by our own science—and seek out the happiness and beauty that come from working in concert with others to transform our society into one that can sustain us—and sustain all the living things which make our lives possible and which have a claim on the biosphere that we can no longer afford to ignore? A professor friend of mine recently asked his freshman writing class what makes civilization possible. The students puzzled for a minute and then someone said, "Cities." Of course, that's really just the definition of civilization. "But what makes those cities possible?" the professor asked. No one could really come up with an answer. Here were students drawn in many cases from rural areas, some of whom lived on farms; and yet, the most basic energy flow in modern civilization—in any civilization—from farm to city in the form of surplus food was completely opaque to them. My friend remarked to me that a century and half of cheap energy in the form of fossil fuels has attenuated our awareness of energy flows so much that we as a society have become essentially unconscious of energy. That is a state of mind that could only be the product of energy abundance, of an exceptional period in human history when the surplus energy available to society was so great that the average person simply did not have to think about it. And, so as energy scarcity returns to civilization as the norm, we are being forced—often painfully—to become conscious once again of the energy flows in our daily life. As a whole, human societies are only just beginning to wake up to this new era—except, of course, where life has remained close to the land, and failure to understand and create the necessary energy flows (particularly food) has always been tantamount to a death sentence. The era of abundance which is now coming to an end created a dependence on a technical-corporate-financial energy elite which took over the provisioning of energy for society as that enterprise became ever more complex—advancing light-years beyond the pick ax of the 19th century coal miner. So long as energy remained abundant, the legitimacy and autonomy of this energy elite went largely unchallenged. Even in countries where the government controls energy resource exploitation, a small elite remains in charge of the process, a process thought to be largely technical in nature. But the return of energy scarcity in the last decade—in the form of record high oil prices, high and volatile coal prices, wildly volatile natural gas prices in the United States and high prices for liquefied natural gas internationally—all this now threatens to undermine the legitimacy and autonomy of the energy elite. People are beginning to wonder whether it is wise to leave such matters to the putative experts. Should the government take a more active role in directing energy policy? Should communities and households seek to provide their own energy in the form of renewables or even community-owned utilities? Should steps be taken to reduce energy use dramatically to cushion a possible future decline in the availability of energy? So rattled by these stirrings is the oil and gas industry that it has launched a campaign to convince the public that these hydrocarbons will return to their former abundant state for the long term. This campaign goes by the moniker "energy independence" in the United States. Of course, energy independence for the United States is unlikely unless it is based on radical reductions in energy use and widespread deployment of alternative energy. Naturally, the oil and gas industry does not have this kind of energy independence in mind. The industry campaign relies on the clever and deceptive move to redefine what oil is. “Oil” is now supposed to include natural gas plant liquids (which as you might guess come from natural gas wells and include propane, butane, ethane and pentane), biofuels which include ethanol and biodiesel, and refinery processing gain (which merely measures the well-known scientific fact that the volume of refined products from crude always exceeds the volume of crude oil input). Back in the land of reality worldwide production of crude oil proper, which is defined as crude oil including lease condensate, has been flat since 2005. But, that doesn’t work well with the abundance narrative. So the industry has persuaded government agencies and especially the media to accept this redefinition without them really understanding it. The campaign also depends on ignoring inconvenient statistical trends. For example, U.S. coal production has been flat since 1998. But the more interesting news is that the total energy content from that coal has been dropping. We are now exploiting coal that is lower and lower in quality. And, the boom in U.S. natural gas production that was supposed to go on for a century has already stalled. Natural gas production in the United States has been flat for over a year. While the basis for the claim of renewed abundance and energy independence is not borne out by the evidence (see here, here, here and here), the purpose of the campaign is two-fold: 1) To persuade policymakers and the public to open more public lands to fossil fuel exploration while relaxing environmental regulations and 2) to convince both groups that because energy abundance is returning soon, no changes in the current structure of energy production and distribution need to be made. In other words, the technical-corporate-financial energy elite that currently controls the bulk of the world's energy supply should remain intact and in charge. Constraints experienced in oil supplies in the 1970s gave a foretaste of how the public might become more engaged in shaping our energy future. Many alternative energy projects involving solar and wind became the responsibility of the household and the individual business owner. The return of cheap energy in the 1980s and 1990s, however, reinforced the power of the energy elite as public awareness of energy plummeted along with energy prices. Since then, wind and solar energy have been increasingly concentrated in the hands of utilities as the energy elite sought to put these forms of energy under its dominion. But what if we are, in fact, moving into an era of energy scarcity? And, what if our previous energy abundance was, in fact, not merely a product of our inventive genius, but actually the chance concatenation of political, social, economic, technical and even ancient geologic events? The pronouncements of the fossil fuel industry and its paid spokespersons on Wall Street and elsewhere are clothed in certainty. Their nicely designed graphs of fossil fuel use go up and up into the future. But what if instead we are not at all certain about future energy supplies? What if our previous abundance has been more a product of good fortune than technical competence? The discovery of fossil fuels was essentially a one-time event in the epoch of humans. And, we are on course to use the bulk of those fuels in just two centuries, fuels which took hundreds of millions of years to deposit in the Earth's crust. Given the uncertainty, shouldn't we all be engaged in thinking about and acting on our energy future? The current technical-corporate-financial energy elite knows only how to manage abundance. Abundance smoothes over questions about equity in energy distribution. And, the very ideology this elite adheres to says that energy constraints can only be temporary. In the long run, economic incentives and technical progress will always elicit new sources of energy in ever greater quantities at affordable prices. In short, the framework from which this elite governs our current energy system does not even include the possibility of long-term constraints in energy supply. This is why this elite may even believe its own propaganda about renewed abundance since its worldview doesn't allow for any other outcome. No one knows the future, and so no one can know for certain what our future energy supplies will be. The real question is not how to attain certainty, but how to deal with the uncertainty that has always been a part of our energy future. This is a political question, and therefore one that the energy elite does not wish to see as an object of public discussion. It moves the management of energy supply and distribution away from being merely a technical question into one which invites and necessitates broad public participation. Uncertainty should not be an excuse for inaction; uncertainty is the very place where politics intervenes. Knowing with certainty what your actions will bring means you are merely demonstrating a law of physics. Where certainty reigns, there is no need for political give-and-take since the path is clear. This is why the industry must insist that it is certain about an abundant fossil-fueled future. As an aside, this same industry insisted for two decades that the science behind climate change was uncertain and therefore that we should not take any action. The industry's highly successful propaganda efforts have forestalled any effective action on curbing fossil fuel emissions. Now, the industry tells us that it is certain about an issue—fossil fuel supplies—that is plagued with far more uncertainty than the link between the burning of fossil fuels and climate change. Greenhouse gases can be measured by anyone, anywhere on the globe with the proper equipment. The worrisome acidification of the oceans (a result of increasing levels of dissolved carbon dioxide) can be verified by anyone near an ocean with the equivalent of a well-calibrated litmus test. Stores of hydrocarbons, however, are increasingly found miles under the earth or the seabed. The methods for measuring the amount available to society for its use are imprecise at best. And, those measurements depend on nongeologic factors such as future prices and technology, both of which can only be guessed at. No underground resource can be exploited 100 percent. In fact, oil extraction to date has averaged around 35 to 40 percent of the original oil in place. Unconventional oil resources such as tar sands are likely to yield smaller percentages because of the difficulties involved in the extraction and refining of these resources. In addition, such unconventional energy resources are highly sensitive to price because they are so costly to exploit. As it turns out, we are far more certain about the science behind climate change than we are about the methods used to calculate future world energy supplies. The degree of certainty about climate change calls out for immediate and drastic action because we understand how large the risks are. The degree of uncertainty over future energy supplies calls out for immediate and drastic action because that uncertainty poses large risks for society. It's not necessarily the degree of certainty or uncertainty which ought to drive our public policy on any issue, but rather the level of risk which our current state of knowledge suggests is present. In the case of climate change, the risks are known with more certainty each day that we observe massive melting on Greenland and the poles, intense drought and hurricanes, and dying forests made vulnerable to disease and infestation by a warming climate. In the case of energy supplies, the risks become more apparent because of what we do NOT know. We do not know whether fusion energy will be mastered any time this century. We do not know whether the new unconventional supplies of oil and natural gas will be able to make up for declines in existing fields over time. We do not know whether society as it is currently structured can withstand the very high energy prices in the long term which appear to be necessary to sustain the development of unconventional energy resources. As the uncertainties over energy grow and as abundance wanes, the technical-corporate-financial energy elite will be faced with a citizenry that has become increasingly aware of its predicament. Scarcity implies rationing. Either the rationing will be done by price—i.e., the rich get what they need and the rest get what they can afford—or it will be done by political mechanisms. The pain comes in either case, and the big question will be whether that pain can find political expression in our unfolding age of energy scarcity—expression that could mean renewed engagement by citizens in an area central to their happiness, their comfort and perhaps even their survival. Here's the short version of why forecasts of low long-term oil and natural gas prices are almost certainly wrong: It costs more than that to get the stuff out of the ground. Only two things could actually lead to low long-term prices: 1) Somebody could invent and deploy some genuinely brand new technology that makes it really cheap once again to get oil and gas out of the ground or 2) we could have a deep and grinding deflationary depression that brings demand for oil and natural gas down so much that prices collapse. The people who are predicting $50, now $45 oil, and $3, now $2 natural gas (in the United States) for as far as the eye can see believe that such prices will result from the already widespread application of current technology. And yet, the very companies that use that technology to extract these hydrocarbons say that there's no way they can produce them profitably at those prices. ExxonMobil's CEO said last year, "We are losing our shirts" selling natural gas at such low prices. Forecasts for much lower oil prices would also represent losses on new wells for most oil producers. Here's why: The full cost of producing new oil for the 50 largest publicly traded oil companies in the world is $92 a barrel according to Bernstein Research. While average costs are lower because they include previously discovered conventional oil which is cheaper and easier to produce, the Bernstein report challenges the notion that new technologies will lead to cheaper oil. Those technologies including hydraulic fracturing will make it possible to extract previously uneconomic oil resources--but only at very high and rising costs. In fact, the cost of producing the marginal new barrel of oil has been rising at 14 percent per year since 2001, Bernstein says. Finding, developing and producing new oil isn't getting cheaper; it's getting much more expensive. So while oil prices could fall below the cost of producing new barrels for a while, they simply could not stay there unless the world were to become content with ever shrinking supplies of oil. No company will continue to drill for oil when each new well loses money. So given that the world will probably continue to seek expanded supplies of oil, prices in the long run below $92 a barrel seem implausible. And, that floor is likely to rise as the oil resources that companies are now forced to pursue become costlier and more difficult to extract. We've already extracted the easy-to-get oil in the first 150 years of the oil age; now comes the hard stuff. The same logic applies to natural gas. 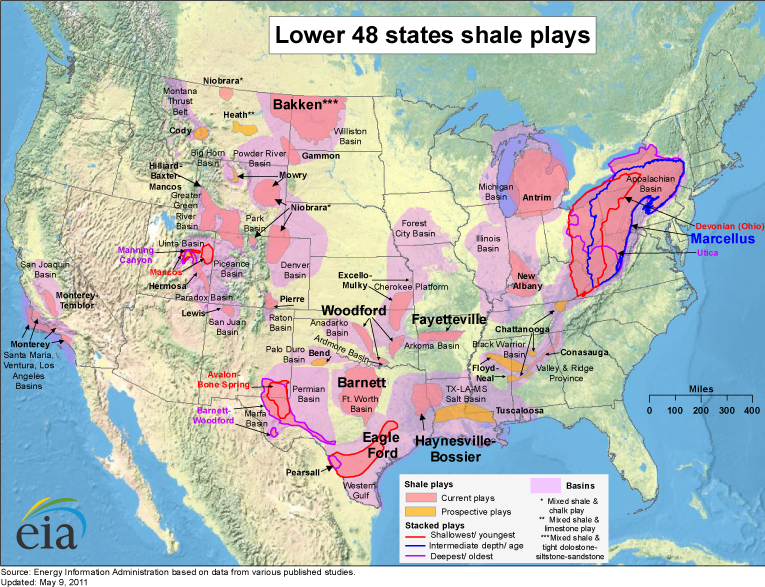 The bulk of new U.S. supplies are coming from so-called shale gas deposits. Looking at the actual data, petroleum consultants Art Berman and Lynn Pittinger found that industry claims of profitability of shale gas production at $4 per thousand cubic feet were based on excluding important costs such as land acquisition. Once all the costs are figured in, Berman and Pittinger found that costs for gas wells drilled in the Fayetteville Shale, the Haynesville Shale, and the Barnett Shale were $8.31, $8.68 and $8.75, respectively. If land acquisition is excluded and only drilling, completion and other variable costs are included, the cost falls to $5.06, $5.63, and $6.80, respectively. Even these lower costs are still far above what some forecasts say will be the long-term U.S. price of natural gas. But, natural gas drillers will not drill wells indefinitely that lose money. All of this flies in the face of the current popular meme that the United States and perhaps even the world will enjoy both cheap and plentiful supplies of oil and natural gas for the foreseeable future (whenever that is). Keep in mind that the costs cited above include the use of the latest technology. That tells us that depletion is long since winning the contest with technology. Yes, technology has helped to mitigate the damage that constrained energy supplies are inflicting on the world economy. Without it, matters would be much worse. But it is clear now that technology will no longer be able to overcome the fact that we as a species have used up the easy-to-extract hydrocarbons. We are now faced with exploiting ever leaner resources with diminishing returns on ever higher investments. In fact, record investment in finding and developing new oil resources has only just kept the rate of worldwide oil production on a choppy plateau since 2005. Of course, it's possible that someone could invent new technology that will make it much cheaper to extract the remaining hard-to-get oil and natural gas. But even if they do, as I have said before, if that technology is not on the shelf and ready to deploy today, it will make almost no difference in the next two decades. It takes a very long time for new technology to be adapted for use in the field, tested and then widely deployed. It took more than 60 years for hydraulic fracturing to move from field testing to regular use in vertical wells and then finally to a painstakingly expanded and refined technique that uses long horizontal wells to unlock oil and natural gas in deep shale deposits. Currently, there appears to be no new transformative on-the-shelf technology that will significantly reduce the cost of extracting oil and natural gas. And so, barring a deep economic depression, we can look forward to prices for oil and natural gas that are consistently above the cost of production and therefore far above the bizarrely low forecasts in the air today. In fact, we should expect costs to continue to escalate as we seek out resources that are ever more difficult to extract and refine. Matt Damon's new fictional movie about natural gas development in a rural township was being lambasted by the natural gas industry even before it premiered. And yet, the film shows no tanker trucks laden with toxic fracking fluid. It depicts no roughnecks descending on a small town unprepared for the influx of new workers. It features no ghastly wastewater ponds and not even one drilling pad or derrick. In fact, drilling has yet to begin in the fictional township of McKinley. As a result there are no wheezing people made sick from fumes associated with the drilling. There are no flaming water taps--first seen by many in the documentary Gasland, a film which displays devastation which it attributes to hydraulic fracturing and other processes associated with natural gas drilling in America's deep shale deposits. In Promised Land there is not even one dead farm animal unless you count the ones pictured on a yard sign distributed by an environmental activist who opposes the drilling. So why is the natural gas industry having such a hissy fit over the film? I think the answer lies in its premise: That the people of this small community ought to have a public discussion about whether they want the drilling--one informed by all the facts, not just the ones the natural gas drillers want them to hear--and that the community should then take a vote. God knows that in corporate America, democratic governance should never, ever take precedence over corporate imperatives. Could things be any more infuriating than that? Well, yes they can. We are treated to acts of perfidy on the part of Steve Butler (played by Damon) who believes that everyone has a price, one that his company is only too willing to pay. Butler is a landman for a large drilling company though he is never referred to using this industry term. His job is to lease the mineral rights from landowners in the township quickly and cheaply. But a well-informed high school teacher (played by Hal Holbrook) challenges Butler at a meeting of townsfolk that was designed to close the deal. After that things get complicated. Butler and his partner, Sue Thomason (played by Frances McDormand), must abandon the playbook that has worked so well for them in the past and improvise. As resistance grows, Butler and Thomason hurry to close as many deals as they can. Increasingly, people turn them down. Here is where Butler's frustration leaks out as he loses his cool in front of people he ought to be trying to gently persuade. Whether such flashes of temper accurately portray the behavior of landmen, I have my doubts. But these fits are illustrative of the arrogant attitude of the industry in general. How dare anyone question what the industry is doing to make America energy independent! How dare people who have so little money and so little prospect of getting any turn down the chance to become wealthy! How dare these little people from rural nowhere resist a big, powerful company that is only trying to help them, their communities, and the country at the same time! Butler is likeable, even sweet when we first meet him. But later he seems to pout on behalf of the entire natural gas industry when he runs into inconvenient questions about his story and his motives. It's possible that people in the industry who watch the film will mistake his arrogance for righteous indignation, a pose which industry leaders have spent time perfecting so as to portray themselves as victims. In his initial townhall-style meeting with community members, Butler challenges the townspeople saying that if they are against natural gas, then they are for more oil and coal consumption, both dirtier alternatives. He adds that the only other option is to reduce our energy use, and, of course, nobody wants to consider that. This is the one positively revolutionary thought slipped into the film. For it would be utterly revolutionary to proceed on the premise that we could remake our society into one that ultimately does not depend on fossil fuels for energy. The first crucial step would be to reduce our energy consumption dramatically. And, we actually know how to do this, both by adjusting our behavior and through existing technology. Optimists love to tout technology when talking about increasing the energy supply. They seem to forget that that same technological prowess can and should be focused on reducing our energy consumption. But then no oil and gas company can make a profit on that. Will you be entertained by Promised Land? I was and I think an open-minded moviegoer will have much to enjoy in this film. The acting is excellent, the characters are well-developed, and the plot has enough twists to keep the audience interested. The script is a little heavy-handed in places. But keep in mind that this film is as much about an issue as it is about the characters. If the characters never talked about or defined the issue as carefully as they do, then Promised Land might still be a good film. But it would not be an issue-oriented film which is part of its appeal. The reaction from the natural gas industry has been as predictable as it has been puzzling. By launching an all-out smear campaign, they are only helping to make Promised Land a must-see movie for 2013. Everyone will want to know what all the fuss is about, even those who have no strong feelings one way or another about fracking and natural gas. Those who do see the movie will certainly have more questions about the motives and veracity of the industry than before. But the natural gas industry continues to be extraordinarily foolish in its handling of the media and completely idiotic in its reaction to environmental and health concerns. Instead of ignoring critics in the media, the industry has vilified them, thereby making them even more visible to the public. Instead of vowing to address environmental and health concerns with some kind of credible industry-wide standards, the industry has dismissed those concerns as imaginary, making the public all the more distrustful. With that kind of track record, the producers of Promised Land should be thanking the natural gas industry for all the free publicity and for elevating what might otherwise have been an obscure, low-budget film into a contender for socially conscious movie-of-the-year--one that will now be labeled mandatory viewing for all right-minded people.